The Remington YMCA Child Development Centre opens July 1 and we anticipate that the Quarry Park Child Development Centre will open mid August 2016. It has been great fun preparing the spaces to welcome children and we have greatly enjoyed getting to meet families during tours and orientation meetings. We are excited to announce that bus transportation will be available to Douglasdale School for kindergarten-aged children attending both the Remington YMCA Child Development Centre and the Quarry Park Child Development Centre beginning Fall 2016. 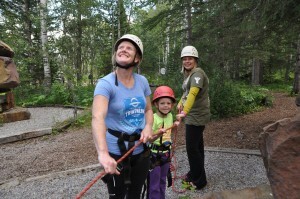 YMCA Calgary – Celebrating Neighbour Day on June 18! 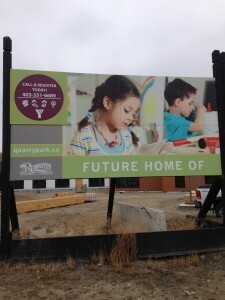 YMCA Calgary is excited to be joining the vibrant community of Quarry Park in SE Calgary. With two new facilities opening this summer we are busy preparing to welcome new members and participants at both the Remington YMCA and the Quarry Park Child Development Centre. 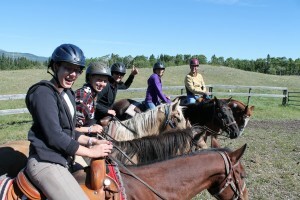 We can’t wait to meet you and Calgary Neighbour Day gives us a perfect opportunity to say hi to our new neighbours. See you on June 18th! My first day on the job this past week provided me with an opportunity to tour the Quarry Park Child Development Center. While still under construction it is clear to see each of the spaces and to imagine children at play. I was able to see the kitchen which will provide the children’s lunches and snack times. There is an indoor gym for children to experience indoor gross-motor play. 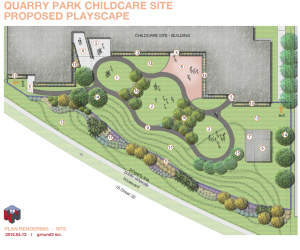 A large outdoor play area will feature landscaping, grass and a discovery trail for stroller walks and bike riding. One feature I particularly enjoyed seeing was the Experience Studio (Below: Caryl Broen & Trudy Halvorsen in the Experience Studio). 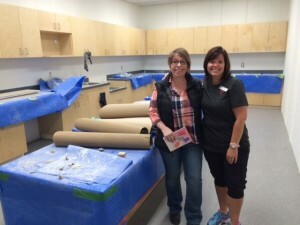 This space will provide lots of unique experiences to support YMCA Playing to Learn curriculum. I could really envision children baking their own cookies or working on a science project there. It was great to see the centre as we prepare to welcome children to the facility mid August. We are excited to also be preparing to open a second Child Development Centre in the Quarry Park community. 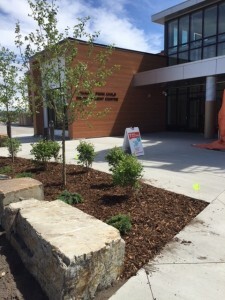 Located in the Remington YMCA, this centre is scheduled to open early July. Like the Quarry Park Child Development Centre, the childcare centre will feature the YMCA Playing to Learn curriculum. 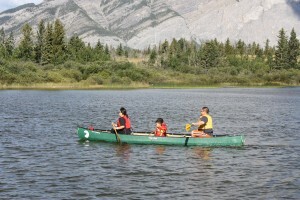 Children will be able to experience time in the on-site Calgary Public Library and utilize YMCA facilities including the pool and active play areas. 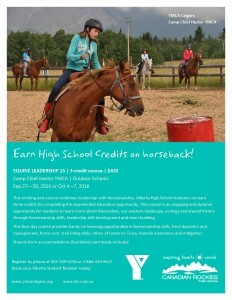 For more information about YMCA Childcare please visit our website at YMCA Calgary .